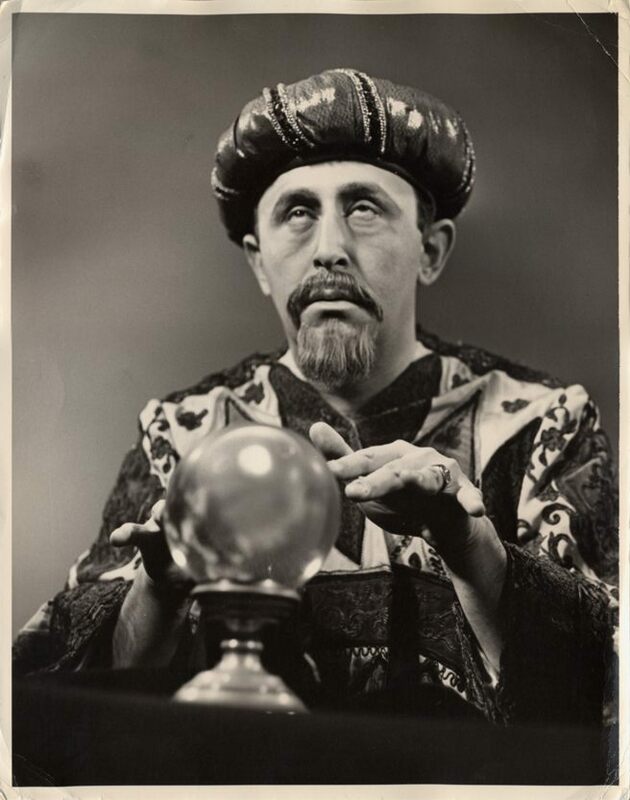 In my work as an edtech consultant and speaker I am often asked to look into my crystal ball and give my predictions about future of school technology. For example, when I keynoted at a district convention back in the summer of 2007 I spoke about how netbooks were going to take over our educational world. Some things I get right -- like netbooks, and some things I get wrong -- I'd rather not say. Consuming Digital Content Devices; these devices are for just sitting back and browsing and using the Internet and apps. This is what most people do 90% of the time. Students researching, checking social network sites, browsing the web, etc. Creating Digital Content Devices; these are the more traditional devices that we use to type long articles and papers, edit audio, photos and video, etc. So that is what I used to think -- and then I got an iPad, which I thought was just going to be a consuming device. But then I started creating things on it, like this blog, I edit photos, I work on documents like spreadsheets -- holy crud, I am creating on this stinking thing! That wasn't suppose to happen. Mobile devices that can both create and consume content. Think about it -- what we really want are devices that we can use to read books, research the web, take and edit photos and video, edit audio, tweat, blog, etc. In short we want it all, and we want it to fit in our pockets. We want to be able to consume digital content (about 90% of the time) but when we want to create, we don't want to have to dust off the ol' laptop just so we can write a blog. The iPad is just the beginning. So hang on folks, we are about to see some pretty incredible edtech devices hit the market over the next 18 months. When teachers shift to teaching 21st Century Skills in a more student-centric learning environment, they need to rethink the idea of assessment -- or testing to see if students are understanding what they are suppose to be learning. In fact, 21st Century Skills should replace the need for tests and examinations as we know them. The reason we have tested students in the past is to not only determine the extent to which students have understood a given subject to see if they should move on, but also to compare a student to their classmates to see where they might "rank" in their classroom. The problem with this system is lag-time. The time it takes from when the student takes the assessment to when the grade is given. Days, if not weeks, have pasted and the students have all moved on regardless of the results of the assessment. What I like about project-based learning and 21st Century Skills is that most of this lag-time problem is eliminated. Using school technology in student assessment is one of the great keys to success in our future classrooms and schools. Take for example; learning to add fractions in the fourth grade. When 21st Century Skills like creativity an innovation are added to the process, problems like lag-time are reduced. In this case students were taught the concept of adding fractions with a simple computer game using slices of pizza. A computer game which gave the students IMMEDIATE FEEDBACK, they knew instantly wether or not they understood the concept and the game would not let them move on until they had mastered the skill. After the initial concept was understood the students then had to create their own video game to teach about adding fractions using the Scratch programming language. So instead of just the vain repetition of adding fraction problems on a worksheet, students kept practicing the skill of adding fractions as they tested their video game, and as they tested each others (communication and collaboration). So the point is that as we think of teaching 21st Century Skills to our students, we need to always be thinking about 21st Century assessment as well. The two are dove-tailed together. Resources: Partnership for 21st Century Skills (join the mailing list) International Society for Technology in Education iTunes Download Page Ning.com Updates to these videos: none Transcription of these videos: The Lesson Hello everyone and welcome to Step 1: The Big Picture. My name is Brad Flickinger, with SchoolTechnology.Org - and let’s get right into what “The Big Picture” is. What we are talking about today in the big picture of this whole Workshop series is 21st century skills. We are going to talk about what they look like; how do we get teachers to have them; how we get students to have them, how do we assess them? We are going to cover that all over these next 12 Steps that we are going to do. But what we are really just going to focus on for The Big Picture is just kind of the history of 21st century skills; where they came from, what they look like, and a little bit on how we assess them. So let’s get started. Now, you have got to understand that 21st century skills is a really, really big subject - we could spend hours talking about each skill. But we are going to just really be talking about the tip of the iceberg in this series. So without any further waiting, here are the six skills that we are going to find as 21st century skills. Now, they vary kind of from group to group on what they are calling 21st century skills; but they kind of all come down to these basic items. And so we are going to follow the ones from the International Society for Technology in Education, or ISTE; and here are their six skills: Creativity and Innovation Communication and Collaboration Research and Information Fluency Critical Thinking, Problem Solving and Decision Making Digital Citizenship Technology Operations and Concepts. So that is what we are talking about as far as 21st century skills. But before we get into those individual skills, let’s spend a little bit of time on the history of where do these skills come from and why are they needed? Let’s just shine a little spotlight on some things that have happened - I am going to put two parts of this slide up right now - and that is back in 1998, ISTE formed the National Education Technology Standards for Students; so basically a list of what they felt the tech standards needed to be for students. And they kind of got this list from, you know, the employers in Industry saying, “We just do not feel that the students in America are ready to come to work with their tech skills.” And then in 2002, the Partnership for 21st Century Skills, or P21, they kind of put out a similar list saying, “Hey, you know, we are hearing the same thing!” But that really kind of flew under the radar until 2006. Now let me put up these three pieces of 2006. This is the “perfect storm” if you will, of 21st century skills. First of all, “Time Magazine” comes out with this article called “How to Bring our Schools Out of the 20th Century” - not a very flattering article about education in America. They mostly compared us to being back in the Fifties still; and the only thing we have really updated was we have gone from “Green chalk boards to whiteboards.” So that really was the slam on it; saying, you know, “Everybody else has gone forward with tech skills - except education”. And then also in 2006, Thomas Friedman publishes his bestselling book, “The World is Flat”, basically saying that outsourcing is going to hit us hard and that with the internet and everything you can have employers in India, and in China and all these things - and boy, has a lot of things come true from Thomas Friedman’s book back in 2006! And then also these two guys, Karl Fisch and Scott McLeod, put together this little presentation they showed to their District called “Shift Happens”, talking all about just some of these facts about how technology is really changing the world rapidly; how there will be more English speakers in China than in the US pretty soon, and that information will start to double every 72 hours - just some phenomenal facts. And they just show it to their District. Well, they also post it on YouTube - and this thing takes off virally! Everybody is watching it, everybody is talking about it - and suddenly they are going, “Okay, what are doing about 21st century skills in our schools?” So that is really where this has all come from. But the bottom line is our graduated high school students just lack the skills needed to compete in today’s global economy. That is the bottom line of what all this came down to. So what are we going to do about it? So if I asked a hundred teachers to tell me, “What is the goal of education?” I am sure I would probably get a hundred different answers. And this is really the answer that I have come up with, with talking to educators out there - and I hope you support me in this. And really, we are in the business of making a future of employable, productive and happy people. That is that we do as educators. Now, if we make just happy people but they are not employable, we haven’t really done our job. So we need to make them productive and employable. And all these studies were saying that they don’t have some of these skills. I mean, they might have math, and reading, and all these things; but if they lack these basic tech skills, or 21st century skills, then they are not very employable. And that is what we want to really do. But back in there, there is a key word: we want to make a “future” of them. And so, “Future”; so how do we predict the future? That is the real kicker here. So, here is a little elementary kid, coming to school for his first day of kindergarten. He is going to graduate in 2022. So what is his role going to look like in twelve/thirteen years? I don’t know - I can’t even predict next year, practically, when it comes to technology! So, to really hammer this point home, let’s go back twelve or thirteen years, and say “What was it like in 1997, and what was missing from things we commonly use every day now?” So these are just common items we use every day - look at all these things. These didn’t really exist at all in 1997. DVDs: we are still watching VHS tapes. No Wi-Fi, no broadband internet; we are dialing into the internet. GPS: all the satellites were still locked from the Government so that hadn’t been released yet. IPods, iPhones, hybrids… all those things didn’t exist, that are so commonplace today. This is just to give you an idea how much things are going to change; that we really can’t change this little tail, okay? We can’t go chasing the little technology cutting-edge technology tail because we are just going to go run around and round. So we need to stop teaching technology (I am talking, you know, specific applications) like, “This is how you do it, in this program, right now, this version!” We need to teach skills, so they are adaptable: whether they sit down to a PC, or a MAC; or this version of a word processor or that version of a word processor - they get in it and they know what to do because they are creative and they are innovative, and they can do these things. And that is what it is really about. The other thing is what do they look like? And I am going to show a little video in a just couple of slides here; and want to really show you what 21st century looks like, what these skills look like to these students. And then the last part is, “How do we know if a student even has these?” You see, we have got to… if we are talking 21st century skills then we have also got to talk 21st century assessment. We don’t go and try to give them a test to find out if they have got 21st century skills. There is a different way. And we are going to talk about that in the upcoming presentations here. So I am going to finish our little lesson today with this video from Mabry, Georgia, from a Middle School there. These are Sixth Grade students that put together this video - think about that: Sixth Grade. And here are all the skills, listed around the edge of it - and you just watch when these skills pop up during this video. Here we go. “So, how long have you lived in China” “Well, this is my second time living in China…” We had a video conference with Matt while he was in Beijing, China. He told us about a Foundation that you will learn about in our movie. “Oh, my gosh! Shopping was so exhausting!” “Firshtee, where are your bags?” Well, I asked Firshtee why she didn’t buy anything today. She said that she had seen a short video on the internet about an American man living in China. He was asked by a friend to donate $250 to buy a water buffalo for a poor family. When he asked the local farmer about receiving a water buffalo, the farmer replied that it would be the best gift, worth one year’s salary. A five-year-old water buffalo can work for fifteen years. So they bought the water buffalo and delivered it to the very poor Su family, living in Dachuan. They were helping four generations: the great-grandmother, the grandmother, the father and the daughter. When the family received the gift they were all in great shock. “I have an idea”. In order to help us raise money to purchase a water buffalo for a family in China, please donate $1 for a raffle ticket. Your donation will enable you to participate in a drawing for one of these three Vera Bradley purses. Do you remember the video conference we had with Matt in Beijing? Well, the money that is donated will go to the KIVA Foundation that Matt told us about, to help the poor in China. Through technology, we, as Sixth Graders, can change a purse into something much more meaningful. With YOUR help, we can change the world.” Wow! That is just amazing what these kids put together! And I hope you are like me; you can look at every one of these skills around the edges of this video and you say, “Yes, these kids did it!” And they are proving they know these skills by the artifacts, the digital artifacts that they produced. Okay, we are done with the Lesson part of this. So just go right down to the next video - and that is the Action Items. And we are going to talk about the things that you can do right now, in your school, to start moving towards your teachers and your students having 21st century skills. Thank you. My name is Brad Flickinger, with SchoolTechnology.Org. Alright, welcome to The Action Guide for Step 1 here. I am just on the website here on Technology.Org for Step 1. I am just going to scroll down to the area here where we have the important points, but then these “Action Items” - and I want to show you each one of these Action Items, to kind of give you an idea what you need to do. The very first one says, “Bookmark and browse the websites listed below”; so I am going to go down here in “Resources” and I am going to click on the first link which is “The Partnership for 21st Century Skills”. I am going to click on that and let that load in right here. Now, P21, as it is normally called, is just a great resource for everything about 21st century learning. And so I would start with of course the front page here; check on any announcements. And then also subscribe to the P21 e-newsletter; so enter your email address down here, so you are getting their publications and their little e-newsletters - that is just great stuff. Then I would move into the “Overview”. Start with the “Skills framework”; start to read and get an idea of what this whole idea of 21st century skills is. There are just some great things. You know, I have all of these things downloaded to a folder on my computer that I can refer to as I work with teachers and administrators on the different areas of 21st century skills. So you have really got to kind of get good at the things that are available on this website here. So, that is great. That is a nice little place; spend a few minutes on that, get to look around, and definitely bookmark it in a section that you have all for 21st century skills and doing this integration into your school. Now, the next one that is on the list here is the International Society for Technology in Education - or we just always call it “ISTE”. So I am going to click on that and let ISTE load up here. And again, you can type in an address here to be a part of their little newsletter if they produce new books, things like that; and you will definitely want to know that, so join that. But I would recommend that you join ISTE. I think for just a normal membership of an educator is I think $92 a year or something like that - you know, around $100 a year. And it is one of those things that you want to be a part of ISTE; you want to work towards always going to the conference every summer that they put together. This is just where the people “In the know” when it comes to school technology get together and do things. So that is just vital for this. Now, I think I told you in the “Watch First” video all about how, you know, there are some things I just spend my own money on, as a tech integration person - and this is one of them. I just… I join it. I mean, if you are lucky enough to be able to get reimbursed for it, that’s great; but you definitely want to be a part of this group - so, ISTE. And, again, the same thing here: you want to get into the “About ISTE”; you want to look at those types of things; spend some time in the “Bookstore”, see what books are available. We are going to go and talk about the books in I think another couple of Steps away from here; we are going to talk about what books are great to have. So that really is just a wonderful website, to understand 21st century skills. And remember, these people put out the standards that I like to follow when I meet with teachers and of course have students learn these things. And they are down here; they are called “The NETS” - let me just click on that for you - and they are called the National Education Technology Standards. And there are standards for administrators, there are standards for teachers, there are standards for students. And they are all available right here for you to take a look at. So there they all are; so get to know that one - another great website to bookmark. Let me just close that and get back to our “Resource” list. Okay, so those are the two websites we need to take a look at. The next thing on the Action Item list is “Download and install iTunes” - I am going to go ahead and click on this right now. Now, iTunes is basically a music library and player, and it works on both PCs and Macs; so it works cross-platform. Anyway, this will take you to a download page - it will probably automatically detect whether you are on a PC or a MAC - and you just want to download the latest version, if you don’t already have it. If you already have it, that’s great; you might want to make sure that it is updated so that you have the latest version of it there. But this is what is going to manage all of the stuff that we are going to work with in the next couple of weeks. So we want to bring in podcasts; we want to listen to things; we want to have resources that are available to us - and so we need to have iTunes on your computer. So it is just right here in this corner here; and you go ahead and just enter your email address in and click “Download now” and it will go through all the steps of downloading and installing on your computer. So that is the install for iTunes. And then the last thing on the Action Item - now there might be more things here, because you have got to remember, I produce these videos and then things might come up; so if you see other things on this list go ahead and do them - but the last one I have on here is “Join NING.com”. Now, I am already in, so it already signed me into NING; but let me just sign out and let me show you what it will basically look like when you come into here. So, let me just scroll over this way. So it will say “Go ahead and create your own NING Network”; but you have got to come over here to this side where you have got to say “Join now”; and you want to just fill in the little form on there. It’s free - and you want to join NING because, again, in the next couple of Steps what we are going to do, we are going to get into NING and start doing things with other people. So, NING is like a social network for professionals. So if you can think of MySpace or Facebook, that type of things; it is for professionals to use that all have similar interests. So we can have videos; we can have documents on there; photos on there, lectures on there - all that kind of stuff. And so we are going to get into Ning in the next couple of steps. So that is what you need to do. So go ahead and join the NING right in there. And I think you get those things done, I think that is it for this first Step, Step 1. Once again, I am Brad Flickinger with SchoolTechnology.Org. And I will see you in Step 2 - but don’t cheat, okay? You have got to get these steps done; don’t go on to Step 2 without them because you won’t be able to get very far, because we build upon things from Step to Step to Step. Alright, thanks a lot you guys. Have a good day. Hello and welcome back to Step 2 of our Workshop here on integrating 21st century skills into our schools. My name is Brad Flickinger, with SchoolTechnology.Org - and let’s get started in Step 2, which is “You Must Take the Lead”. Alright, before we move on - stop! If you have not done the Action Steps from Step 1, some of the stuff we are going to do in Steps 2 and 3 and beyond is just not going to work for you. So don’t rush through this; don’t try to read the end of the book first - go back and do those Action Steps and I promise you, everything is going to work out when we get through all 12 Steps. You know, it just doesn’t work that way, okay? So it brings up this point here: Owning tools does not equal having the skills, okay? Just because they have an iPod in their pocket doesn’t mean they truly know how to use it; I mean beyond just playing games. I mean, if you can see the kinds of things that kids are able to do with the technology - they have it just at their arm’s reach - it is amazing stuff; we can teach them to go great things with it, okay? So that is what it is all about: just because they have them doesn’t mean they have the skills to use them, okay? The same thing goes here: We cannot teach the skills without the tools, alright? If we were teaching the big lesson on how to cut the wood with a saw, we could read it in textbooks, we could watch a video about it - but until the child puts the saw to the wood, they don’t really gain that skill. And the same thing goes with technology. We can’t just send them to textbooks and websites to try to learn about it; they have got to do it, they have got to touch it. And that doesn’t mean expensive things; that means we can do it on different budgets, different schools, different socioeconomic backgrounds of our students - we can adjust and we can do it. But we need to have the tools to be able to teach the skills. So this comes down to, “Who?” Who is going to teach these skills to these students? Well, I hate to say this - but it’s you and me. and I know we go by different titles and different schools; and as I am out speaking and lecturing on this subject, I mean, I don’t know if you are called the “Media Director” in your building, or the “Tech Specialist”, or the “Building Tech Coordinator”, or the “Tech Integrationist/Specialist… ist ist ist…” all these things; or you are the “Librarian”, you know, if that title still exists somewhere in our system and everything; or you are the “Assistant Superintendent” or the “Assistant Principal” that is in charge of technology”… I don’t know really where you are coming from - but you are in this PD class because YOU are going to be the one to bring the change, okay? Let me go to this next slide here. Unfortunately, you know, our administrators, our teachers, they are just so overwhelmed with all the other things they need to fix and do in schools - they have got “No Child Left Behind”, they are worried about State Scores and National Scores and all those things, that WE have got to be the ones. And when you stick with me through these Steps, you are going to see how easy it is for the teachers to be able to get 21st century skills - for both themselves and their students. Because it is not a “Chicken and Egg” problem; you know, “Who gets them first” and things like that - they can get them TOGETHER, and they can move forward together. And it is going to be amazing. And it is going to be easy. And they are going to not even realize how great it is. And they are going to be in the thick of having 21st century skills all around them - because their lessons are going to have them in them and it is going to be great. So that is the lesson of Step 2; is that “There is no-one else”, okay? You have got to be the one to take it on; become an expert in 21st century skills and an expert in integrating them into your school. And I am going to help you with all that; and we are going to look at all these great different resources. So, that concludes our Lesson. So let’s go down to the Action Guide and let’s get into it and let’s start doing some things. So thank you once again; my name is Brad Flickinger, with SchoolTechnology.Org. Hello everyone, this is Brad Flickinger, with SchoolTechnology.Org; and welcome to Step 2: You Must Take the Lead - and this is the Action Guide part of Step 2, so kind of the assignments that you need to do to progress along through these Steps. Alright, so I am just here on the website; I am a little bit below where you are watching this video right now - I am just here in the Action Items. And the first one is to “Go into iTunes and look up Edutopia”. So let’s just go in there and I am going to show you what that is about here. So I am in iTunes; and you just want to click on the “iTune Store”, which is normally the front for all the music side of iTunes - and that is what people are most familiar with, using iTunes. But it has so much more in here. And I am going to click up here, along the top bar; there is “iTunes University” or “iTunes U”. And this has some of the greatest lectures from all around the world from the greatest professors, and things like that. So you can just spend hours in here! So go ahead and look around if you want. But we need to get into some things because we only have just a few minutes of this part here. So I am going to search for “Edutopia” here, up here in the Search area; click “Enter” on my keyboard here. And this is going to come up and find “Edutopia is a non-profit group that does…” well, it is working in public education - I guess that is what they are really… their whole thing is all about. So I can click on any one of these that I want; and this will take me in and it will tell me a little bit about what this lecture is about, or this video is about. And if I click up here I can go right back to the very front page of Edutopia; and here it is; and this will tell you all about it and what the top downloads are, and all these great things. And to have one, you just basically click on it and then you click on the “Download” button right over here; say “Get movie” - and it’s free; the downloads are right to your computer. So that is great. So go ahead and try any one of those and download it right into your computer. Okay, let’s also see what else is next here. It says we should look at “TEDTalks”, and “The Teacher’s Podcast”, and “The Tech Teacher Network”. These are just a bunch of podcasts. And some podcasts are just audio; some are video. And so let’s go ahead and take a look at “TEDTalks” right here. Up in the Search area again; I am just going to come up here and type in “TEDTalks” - it is actually one word - which we want to hear. And this is “TED”; let me get into “TED” here. I am going to go into the front page; I have actually clicked on the link to “TED” and not necessarily to this one episode here. So, let’s just get into here, see how many there are. There are just hundreds of different talks you can watch. So here is one just recently from Bill Gates, and… you know, these are all the leaders and movers and shakers of the tech industry; and design, and entertainment - just fantastic stuff! And again, they are free. So you just click on the “Free” and it downloads it right to your computer. And the last one I wanted to talk to you about was… let me just check where it was here, back over here on my website. So it was “Teachers: The Teachers’ Podcast”. Okay, so “Teachers’ Podcast”; let me see what that pulls up here. Alright, so there it is - “Teachers’ Podcast”. And this is one that you can also not just download an episode; but if you click this little “Subscribe” button over here, it will subscribe and then it will always, as new stuff gets put on their Podcast, it will just automatically come to your iTunes, and you can either put it on your iPod, or just watch it on your computer - whatever you want to do. Here is my Podcast section in my computer; and I have got lots of things. And even go do something that doesn’t have to do with teaching: here is one on Fly fishing; here you are - I can also subscribe to a fly fishing podcast so I can listen to and watch things about fly fishing. And here is “TEDTalks”; and we can go ahead and listen to one of the ones on TEDTalks, see what it looks like. That was one of the developers for BING maps; and he is going to show you some amazing things that happen here. So you just get in there, you watch these things; take a few minutes. For me, every Thursday I spend about an hour just to watch a few podcasts, listen to some things, and then go into my Nings. And that is what I want to show you next, because I believe that is next on our assignment list. So we come down here, where it says to “Watch these podcasts and subscribe to them” - I think you should subscribe. And then it is “Find a podcast of something that just interests you” - and I did fly fishing. And then it says, “Join some Nings”. So, last week we created a Ning account. And so this week we want to actually join some Nings. And I am going to show you the Nings that I use. And you might have to search for these in here - you know, you want to go in and look around for a Ning - but I am part of one called “Classroom 2.0”; let me just open that up and I will show it to you. So, here is Classroom 2.0. It is a fantastic resource for finding out about what is happening with technology in the classroom. And these are all the members of it; and you can ask questions, you can watch videos; you can do all sorts of things in this Classroom 2.0. So join that Ning! And I don’t have a “Join” button on here because I am already a member; but you just look for the “Join” button; and then you fill out a little form about what you do and stuff, and then you get approved to be able to be in. Let me go back to my front page of the Ning here. And then the second one is this “K12 Online”. And I have got to tell you, I have taken so many ideas from this one. And this one down here, this little green box, is actually a video; you click on that and you watch a video. That was what I watched just a few days ago, all about a Second Grade teacher down in New Zealand that is doing the most amazing things with her students. So this is one of the great resources to really, really get you into what is happening in education and technology. So please join these Nings - it will take probably 24 to 48 hours for you to be approved - so when we get into Step 3 we can actually start doing some great things with these Nings and we can go around and make some posts, and ask some questions and things. So that is part of the assignments for today - and let’s see you in Step 3. So get these things done and then I will see you in there. Thank you. Hello everyone, my name is Brad Flickinger, with SchoolTechnology.Org - and welcome to Step 4, which is “Determine Grade-Level Artifacts”. So thank you for sticking with us through this series. I hope that it has been an enjoyable and an educational experience for you, because we have really enjoyed putting it together on our side. So let’s get right into these grade-level artifacts. Before we show the actual digital artifacts, we need to understand this Bloom’s Digital Taxonomy - and there is a link in our Resource Section on this page that will take you to this so you can really see it up close. But basically, Bloom’s Taxonomy was all about this higher level of thinking; going from a low level to a high level. Well, the Digital Taxonomy is from just basic level of remembering things digitally, to actually the top one is “Creating things”. So really think “creating”; that is the making a Podcast, and making a blog, and a Wiki. Really creating digital products is the highest level on Bloom’s Digital Taxonomy. So this is just fantastic, the things that we are going to be talking about. Now, before we actually pick the grade-level artifacts, we determine what skills are the priority for our building. And you will be doing more of this in the actual Action Guide - and that is below this video here. So I just want to introduce what these concepts were; and then you are going to actually do them. So, in my building, I had to come up with the priorities first for the students. And the number one priority was keyboarding. Now, I teach at an Elementary school; so K through 5, the number one priority when they graduate Fifth Grade and go on to Middle School is they have got to keyboard well, because it is no longer taught in Middle School or High School, and they need to be great keyboarders to be able to do all their work. Now, also they need to be excellent at word processing. So much of the work they do - both in the business world, when they graduate school, but also academically - is with a word processor: writing reports, doing those types of things. So they need to really know their way around inside of a word processor. We also felt it was a great priority for them to be great at presenting ideas; to be good at influencing their colleagues, their fellow students on different ideas and concepts. So we wanted them to be great presenters. And that, again, will play well when they go off into Middle School. They should have a general understanding of how email works so they can correspond one with another - not a lot, since we only really bring it in in Fourth and Fifth Grade; but, you know, how to forward an email, how to reply to an email, how to use a list - those types of things. And then also they need to be excellent at doing online research: how to use multiple sources when they do research, and how to find the credibility of a website; to pull information out of it. They need to be great experts at online research for when they go off into higher levels of school. Now, you notice that we didn’t talk yet about anything like creating a Podcast or anything with those students - because that comes later; that is the actual digital artifacts. These are just the skills that were a priority for our students. Now, for our teachers, in my building and in our District, their priorities are a little bit different. The number one priority is that they obviously should know how to use the District email so they can get correspondence from their Principal and their Superintendent and those types of things. So that is pretty easy; most people generally have an understanding of how to use email. So a couple of little tweaks on how the District email works - but it is pretty easy to do. Now, second - and this is a really high priority to us - is that they need to be expert (well, not expert) but they need to really be I guess fluent in using Atomic Learning, because we use Atomic Learning for all of our other training. So rather than having to spend tech hours in having to sit down with somebody and say, “Okay, this is how you do this in a presentation software; this is how you create a Ning” or these types of things, they just go to Atomic Learning, they search for it; and then they might watch a two-minute video or a three-minute tutorial on how to do something. And that is where we have got the big savings from, as far as man hours and time, being able to do it. And they can do it from home, or wherever. So we give them a great lesson on how to be great Atomic Learning subscribers. So they can go in, and they can find information quickly; find 21st century lessons if they want them, and how to adapt them to their own classroom and their own students. So we give them a course on how to be great at using Atomic Learning; because when we spend a few minutes on that, we save hours on the other side - so we don’t have to take the calls saying, you know, “How do I do this?” or “How does this happen?” So we make them really good at that. We also make sure that teachers know how to use all their current classroom techs: so if they have a document camera, they know how to use it; or a projector, or a laptop - those type of things… an interactive whiteboard. We make sure that if they have it in their classroom they know the ins and outs of using it so we are not wasting anybody’s money. We also make sure the teachers have a classroom website that is effective, and that they maintain; and which teachers, and parents, and students all use. So we really sit down with them, make sure that they have a great website. And also that they have the Google Docs Account set up, which is an excellent collaborative tool between teacher and student, and teacher and parents, and teachers and teachers, teachers and principals - all these people collaborate. And the reason why we picked this photograph is that you can do it from home; suddenly you can be on there and you can be working with a fellow teacher; or taking a look at a student’s work - all just so easy because it is all just in the Google Docs cloud. And that is what is fantastic. We also ask our teachers to have an ePals account. And they don’t use it a lot; they use it only a few times a year. But they all connect with a classroom from, say, Venezuela, and they will do like a poetry project. And it really helps their students think outside of their own little suburb or their own little State, and really think more globally, because they have this fellow classroom somewhere else in the world that they look up and, you know, they can see all this stuff about them. Which also brings us to this point here: is that teachers need to understand how to use Google Earth; because so many of the things that they might talk about will have some type of geographical I guess twist to it. So, you know, you are talking about kangaroos, and it is like, “Okay, well let’s put it up on the big screen and let’s see where Australia is” - and so the kids really get a relationship about where they are currently on the earth, and where other things have happened - whether in the past or are happening right now - those things, they are great. So we give them a rundown on how to use Google Earth effectively. So that kind of covers what the teachers need to know in my building, and the students. Now, these are the priorities that I thought of, working with teachers and watching what is going on there. And you are going to have to do the same thing. And we are going to talk about that in the Action Guide. Now, try to limit your bias. Don’t be going, “Well I love spreadsheets - let’s make sure everybody does spreadsheets!” Well, no, I mean we don’t work in spreadsheets in Elementary School because we looked at the reality of that and said “No.” We touch a little bit on it in Fifth Grade, but not very much time is spent on that. So really try to limit your bias and not be headstrong one way or another - but try to be best for the student. I am sorry if I am going through this rather quickly, but we have a lot of slides to cover in this compressed little ten-minute slot that we have to talk about here. So, next thing I do is I assign those grade-level artifacts. I am going to show you what those look like right now. And understand that learning always follows interest, and interest always follows fun - especially when we are talking about students. So I try to make these ideas seem as fun and as great as possible, because then they REALLY want to do them. And that kind of drove me when I came up with these ideas, working with teachers, to what the digital artifacts were going to be. So in Kindergarten they create a digital drawing; and then it goes all the way up to Fifth Grade where they do a documentary video - and I want to kind of show you a photograph of each one of these things to give you an idea. So here are some examples of these lessons. So here we are. Kindergarten: he is doing - it looks like it is a Big C / Little c; and he is drawing I think that must be a cat, a cake, a car and possibly a cookie on there. But they are doing digital drawing; they are learning how to draw on a computer - and it’s great. And so they will have a whole Alphabet book when they are done at Kindergarten. The students in First Grade start right off into using a document; and so this student is just working on a little document - look how relaxed he is, like, “Yes, you know, I’m just putting a document together here, in First Grade.” And so they start being able to press the Enter button, and Bold something, and Shift to get a capital of something; and so they really start working inside documents. And then in Second Grade they do a slideshow to start getting their skills on being great presenters - and that is very important to us. And you have got to understand that all of these projects involve all of those skills we talked about: so it will involve the keyboarding skill, the word processing skill, the presenting skill - all of those things that we felt were very important, every one of these digital artifacts is just dripping with those skills in it; as well as all those 21st century skills, of being creative and collaborative and all those things. So in Third Grade they create a book. In Fourth Grade they do a Podcast. And in Fifth Grade they do a documentary video. Okay, so that just gives you an idea of where everything is at in my building. So in the next thing, in the Action Guide, we are going to talk about that plan that I use, that I just keep repeating over and over again with my teachers, on how to really get these skills into everyday lessons and those types of things. But you, as the tech person for your building, need to come up with what the skill priorities are, and also what the digital artifacts should be; and then work with your teachers to build those. So that is what we are going to be talking about in the Action Guide, is how you can do that. So I will see you in one more video down, and we will get going on the Action Guide. Alright! Welcome to the Action Guide for Step 4, which is “Determine Grade-Level Artifacts”. Now, I am not going to lie to you: this Step is going to take a lot of time. There is a lot of work to do in this Step and I hope that you (it has been building up to this) that you have been doing all the other things from the other parts of the Action Guides from the three previous Steps. And what we have said before is don’t go on unless you have done it - because nothing is going to make sense. So I hope that you have ordered those books from Amazon and you have kind of looked through them, because in the upcoming lessons we are going to be doing actual chapter assignments. I hope that you have been participating in the Nings, and got a quote from Atomic Learning. And it is because, you know, I use Atomic Learning to split myself up, you know, twenty-two different ways, so that I can get all this work done; so that I am not having to sit down individually with each teacher and say “Okay, this is how you can adapt this 21st century lesson; this is how you need to do to make a Ning” - those type of things. It is so valuable to what we do that I hope you have gotten a quote back on it so you understand, you know, where it can fit in with the budget in your school. And it is Brad’s, you know, “lazy way of getting it all done” - but it is also the only way that I can comprehend that it gets done. Okay, I have got my notes here, and I have also got my slide editor up on the screen, so we can kind of review where we are at. The first thing you need to do is determine your skills priority for your school or your building or your District. And, you know, don’t put this out to committee after committee; I mean, maybe bring in a couple of colleagues that you trust and can work with, that you respect - and you really come up with… I mean, most of this is just logic; which is why you don’t want to be having too many little fingers in the cake here! And I think most people will agree with that; and maybe add or subtract one or two things. But, you know, I don’t have on there “spreadsheets”! That is going to be done in Middle School, okay? It is not a big priority for me. So you have got to look at also the age of your students and say “What are the most important skills these students leave my building with?” And put them out into the workforce. And we are not talking the 21st century skills, because those are going to be all mixed in - so creativity and collaboration - those types of things will all get mixed into it. These are the actual skills sets that are today. Those type of things. And that is really our priority. And these things change from year to year. They have got to be very fluid because it is hard to predict - and we try to go as broad as possible to make them more universal, so it is not just like a “flavor of the month” - but you have also, every summer, got to take a look at it and say, “You know what? We don’t use ePals any more; let’s cross that off the list and use the new XYZ system that has replaced it” or whatever. So really reevaluate each one every summer so that you are always staying fresh. So that is assignment number one: you sit down and you look at both your students and teachers; and bring in, like I said, some trusted colleagues - and you come up with these priorities. Now let me scroll down here to the other part, when it comes to grade-level artifacts. Okay. Now, keeping in mind the idea of Bloom’s Digital Taxonomy, which creating is the highest level of thinking; also keeping in mind the “Six 21st Century Skills” as published by ISTE, I really - and these also are very fluid, so they change from year to year - but these are the things that we work on in our building and these are the things the students work on almost for the year; they work towards these culminating activities. And sometimes we cut ourselves off short, because the kids LOVE to do big projects - and then they want to share it with the world. And sometimes they just share it with their teacher. Well, I’ve got to tell you; these things are shared with the world! So if you want to see some of these things, I have got a link down in “Resources” for the website that showcases my students’ work; and it is called HighTechElementarySchool.com. Go there and check out their Podcasting and those types of things. Because we are going to be putting more and more of this online; and you are going to be blown away by the things these kids are able to do. So go check that out. And it ends up the teachers love it, the students love it - it is unbelievable and it is just great to do! So that is the second part. And it is a lot of work to do. But you have got to sit down and say, “Okay, what is age appropriate? And what is going to make it fun, for the students to want to do; easy for the teachers to be able to take care of and manage?” And also “Is it affordable for your building?” You have got to look at that as well. And so those are the things you have got to look at, saying, “Okay, what is the big culminating event, or the digital artifact for each Grade to make? So those are the two big parts to the Action Guide. Now, there are other things in here that I want you to do - let me just refer to my notes here. I am going to have a couple of blogs listed in here that I want you to bookmark and start to follow. And so those are listed just down in the Action Guide part. As well as two videos I want you to go see. And they will kind of get you pumped-up a little bit. Maybe you have seen these before; you know, there are some pretty good propaganda about bringing technology into schools, and some pretty interesting things to kind of get you going. So go take a look at that. There are a couple of other things; I am going to move those over to maybe another day or another Step, so that you aren’t too overwhelmed with what you have got going on right here. So, get that done: figure out your skills priorities; figure out your grade-level artifacts; and then check out these blogs and these two videos - and that should probably keep you busy! So I will see you in Step 5.